Big Idea: Do what you know God wants you to do no matter what pressure you face. What spurred this new intensified opposition? What plan did Sanballat and his co-conspirators come up with? How did Nehemiah respond to them? After he answered, did they give up? How many times did they attempt to distract him? What lessons can we learn from this about temptation? About distraction? How can we apply these principles to our own lives? Sanballat and his friends do not give up easily – They learn that great and fast progress has been made on the wall. Instead of giving up, they redouble their attacks. It is said there is nothing more dangerous than a cornered/wounded lion. We should also know that even though Satan was defeated at the cross, he is like a wounded lion. He is not giving up. Satan actually has one character quality that can sometimes be good and that is perseverance. Unfortunately, like Sanballat and co, he perseveres in sin. Nehemiah’s enemies attempt to distract him – Here we see Sanballat try a common attack. He doesn’t tell Nehemiah to tear down the wall. He doesn’t tell Nehemiah to quit building the wall. He does try to distract his attention by bogging Nehemiah down in debate and meetings. Also, they hope to remove Nehemiah from the protection of the city and his soldiers so that they could harm him. If they could kill Nehemiah (cut off the head), the work would probably start. But they couldn’t do that while he was surrounded by friends, which is why they hoped to draw him away from his protection. From this we learn two things. Those who are working for God and motivating others to work for God will be targeted. Satan doesn’t care about the passive people who don’t do anything for God. But those who arise and start building God’s kingdom will be opposed. Be alert and don’t be caught by surprise! Be careful that you are not removed from your protection – What protection do we have against sin? Fellowship, counselors, the Word, and accountability are all protections against temptation. One of Satan and his buddies’ (just like Sanballat and his buddies) plans of attack is to separate us from these things which will protect us. One animal by itself is easier for a lion to catch that one animal in a group. Predators try to separate animals from the pack so they will make an easier target. Do not allow yourself to be separated. Do not give up meeting together. Do not become isolated in your Christian walk. For the husbands here, help and support your wives who may be at home a lot to surround themselves with Christian friends and fellowship so that they are not isolated. You too surround yourselves with other believers. Then develop deep relationships with those believers so they can help encourage you when you start to stray. 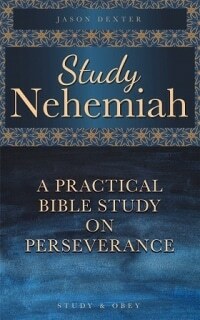 Nehemiah does not give in to distraction – This same refrain is repeated throughout this chapter and the whole book. Nehemiah does not allow himself to be distracted by the schemes of the enemy. He is focused on a very clear goal. Anything that distracts him from that goal is not worth pursuing. Application: What is your goal? Do you have a goal or goals? Do know what you are working for? If you don’t know then you won’t know when you are distracted. If you do know, then you will be able to clearly evaluate and make sure that what you spend your time doing is helping you achieve that goal. Should you get a PHD? Should you change jobs? Should you move to another city? The answer to those questions depends on your life vision and goal. You will not be able to make wise decisions if you aren’t focused on a mission like Nehemiah was. Do not be like a stick floating around wherever the current takes you. Instead control the rudder of your boat to push forward to a specific point. Nehemiah is not willing to debate – Notice Nehemiah gives a short, firm answer. He gets right to the point. He refused to debate or argue about it. Basically he says “no way!” He realizes that engaging in discussion/debate with a fool is pointless. You cannot win an argument against these type of people. You cannot persuade them. Application: Some conversations are a waste of time. Recently some of you are joining the gospel sharing practice. Know that when you share the gospel some people will want to engage in debates. They will want to argue. If they have a hostile attitude there is no need to engage with them. It will not accomplish anything. Jesus often did not respond to questions which people asked or responded in a completely different way. We need to be wise to know when a conversation is profitable and when it is useless. After the first 4 letters to Nehemiah failed to distract him, what new plot did they try? What is an open letter? How is this similar to the previous accusation that they had made against the Jews? How is this different from their previous accusations that they had made? How might Sanballat have expected the Jews to respond? How might Sanballat have hoped Nehemiah would respond? How did Nehemiah respond to this gossip? Where did he turn to for help? When people gossip, slander, or accuse us how should we respond? How should we answer them? What verses can you share that speak to this issue? Proverbs 16:28 – A dishonest man spreads strife. Exodus 23:1 – You shall not spread a false report. Proverbs 10:18 – Whoever utters slander is a fool. Titus 3:10 – After two warnings have nothing to do with a divisive person. 1 Thessalonians 4:11 – Live quietly, mind your own affairs, work with your hands. 1 Peter 3:16 – Keep a clear conscience so that those who slander you will be ashamed. Sanballat does not give up – He doesn’t give up, he just changes tactics. Sanballat attempts to stop the work through gossip and slander – He hopes to discourage the builders and get them to turn against Nehemiah. He hopes to distract Nehemiah from the work and get him to spend time and energy defending himself instead of leading the wall rebuilding project. Notice that the doesn’t cite facts. He cites rumors and “reports.” Of course he doesn’t mention that he himself is behind these rumors and reports. Sanballat realized that sending a private letter to Nehemiah wouldn’t work so he chose to send an open letter which all the people could here. He also threatens to tell the king. Finally he offers to “help” Nehemiah by counseling together with him. Of course that counsel would have been something along the lines of, “for your own safety, you should stop rebuilding the wall.” While Sanballat claims to want to help and come alongside Nehemiah as a faithful counselor, only a blind person would not see that he has his own motivations. Application: Do not always trust what people say. Look at their fruit. Look at their actions. Look deeper. In the New Testament we learn not to be yoked together with unbelievers. In like manner, we should not be linked or work together with those who don’t have the same goal as we do. In the book of Ezra the Jews refused to work with their enemies who pretended they wanted to help the Jews rebuild the temple. Nehemiah won’t pay attention to the gossip – Nehemiah does not try or need to defend himself. He doesn’t try to clear his name. He knows the arguments against him are absurd. His enemies would not be convinced or listen no matter what he said and his friends would not be so gullible to believe this gossip and slander. How can we apply what we learn from Nehemiah here? Do not stoop down the level of a gossip or slanderer. It is not generally necessary to defend yourselves against these types of lies. The truth will set you free. If you continue to do what is right, then your good character and good intentions will be proved for all to see. Do not allow people’s words to discourage you from doing what God wants you to do. Maybe your parents pressure you to marry an unbeliever. 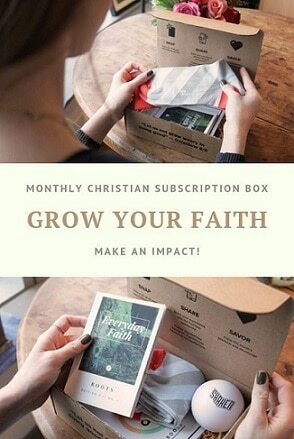 Maybe your friends laugh at your Christian belief. Maybe divisive believers spread rumors about you. Don’t be distracted! Keep doing what you know God wants you to do! 4. Nehemiah turns to God for strength and comfort – This is the place we should always turn when we face adversity. Hopefully we naturally turn to God in the days of adversity like Nehemiah did. Psalm 50:15. What “help” did he offer Nehemiah? What was the problem with his suggestion? What can we learn about temptation knowing that the source of it was a prophet? Why did Nehemiah refuse to go into the temple? What can we learn about his character? Why does Nehemiah not seem more afraid? How do you think Nehemiah “perceived” that the prophet was not speaking from God? How can we know when believers around us give good advice and when they give bad advice? What was the goal of this new conspiracy? What applications can we get from Nehemiah and how he handled it? Temptation may come from other believers (or at least professing believers) – Nehemiah did not go to Shemaiah’s house expecting that he would face temptation there. I don’t think Nehemiah thought Shemaiah would be at the center of a plot to get him to sin. And yet it happened nonetheless. This type of temptation could be much more dangerous simply because it is so unexpected. Application: We must have firm root in God’s Word and be familiar with it. If we are familiar with it, wherever and whenever we hear people counsel us falsely we will be able to evaluate it properly and not fall into the trap. Nehemiah was bold – Should a man like me flee? Nehemiah knew that fleeing would set a bad example for the rest of the people. He had to be bold not only for the sake of his own self, but for the sake of the many people who were relying on him and following his leadership. He refused to do the wrong thing for a good reason – It was wrong for a non-Levite to go into the holy place of the temple. It would seem that was what Shemaiah was asking him to do, which is why Nehemiah refused. It was a case of doing the wrong thing for the right reason. Many people in Nehemiah’s position might have justified this act. They could have said things like, “The people need me. If I die, who will lead them? If I die, our enemies win.” But Nehemiah was a person of principle. He realized the very important principle that right and wrong does not depend on circumstances. Right and wrong don’t change in extreme circumstances. A person of principle does not allow circumstances to dictate his actions. Instead principles dictate his actions. We must be perceptive and alert so that we won’t fall into temptation – Nehemiah saw through the plot. He realized God would not give a message that was contradictory to what He had already commanded. There will be wolves in sheep’s clothing – Some so called Christian workers are such wolves. They appear to be serving God, but are actually serving themselves. They may be motivated by fame, power, or money. Be wary of such people whose loyalty can be bought. What amazing fact is reported in verse 15? Who realized that it was God’s help that allowed them to finish this great task so quickly? What do we learn in these verses about Tobiah and his role in the conspiracies? Who helped him? The temple was finished in 52 days – Wow! It could only happen with God’s help. At the same time, God used Nehemiah and his excellent leadership to bring about this amazing result. God wins – God’s plan was accomplished. No one can stop His plans. If you read to the end of the Bible in Revelation you will also see that God wins. Choose the right side. God’s side will face lots of adversity and opposition, but at the end of the day, that is the winning side. If you serve Him faithfully you can accomplish great things for Him. What is your goal? What does He want you to accomplish? Are you being distracted or are you focused in on what He wants you to do? 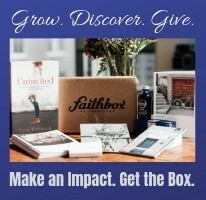 Do you know what God wants you to do? If so, are you doing it?